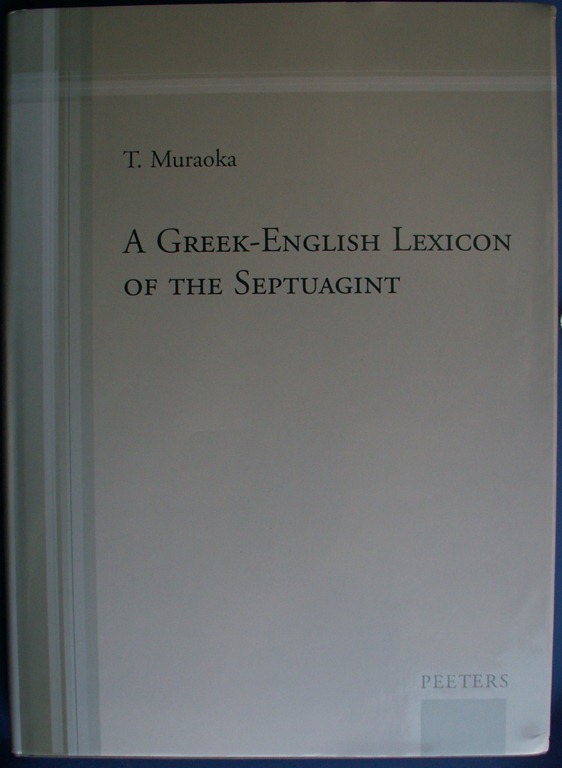 For my notes on how Muraoka’s lexicon compares to other Ancient Greek lexica, see this post: Comparing Lexical Entries. 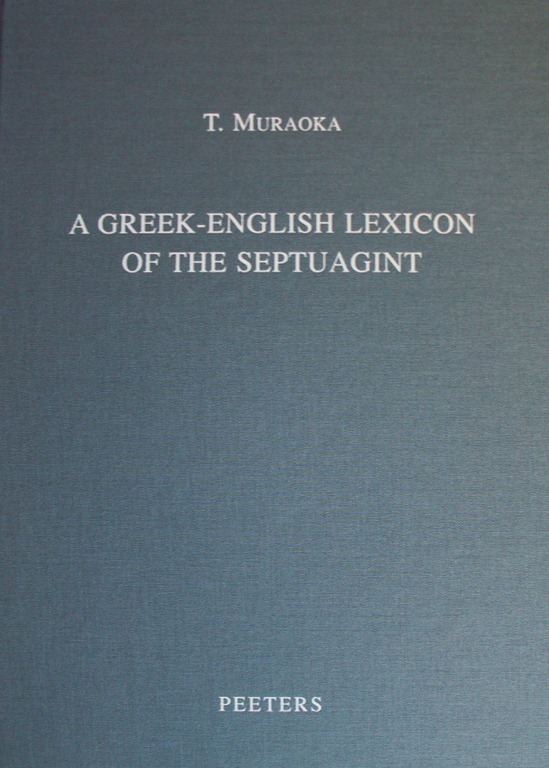 My copy of Muraoka’s Greek-English Lexicon of the Septuagint (2009) arrived in the mail from Eisenbrauns and I’ve taken some time to post a few pictures of this very beautifully bound book. Next week, when I get back from camping, I’ll post some more detail thoughts on the contents themselves – including comparisons with LEH. I have some of the same concerns that John has, but I think that I might be slightly more positive, though I’m not sure. Its possible simply that John’s criticisms distracted me from his praise. That does happen on occasion with book reviews. If you’ve visited Amazon, you’ve seen this cover already, I’m sure. The curve of the picture is barrel distortion, not any problem with this beautiful book itself – stupid camera. But here is the hardback itself without the Dust jacket. 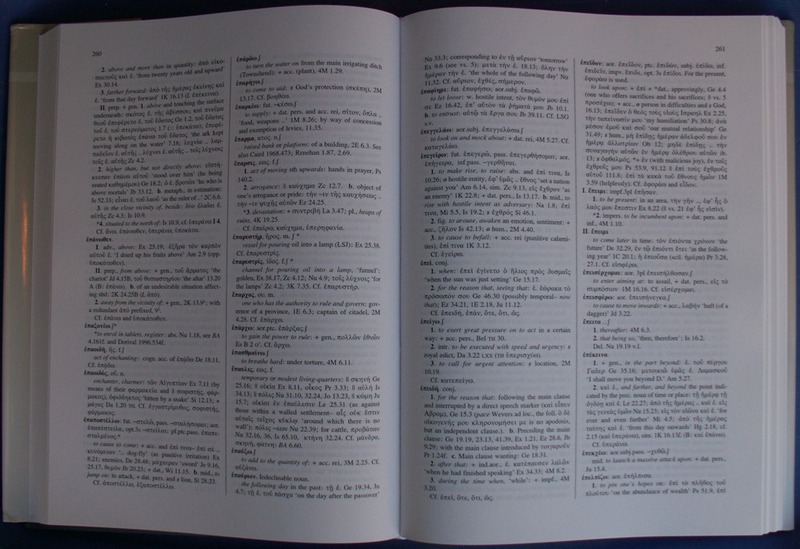 Its a very nice hardback, perfectly bound. And it lies flat very nicely too. So there’s the book, comments on content are forthcoming. Now I am jealous. Come on, Mike, you should know better than to cause a brother to covet (or when it comes to books, I haven’t decided whether it is coveting or lust). Though I need an LXX as well. Too many books to buy too little money. Its a lesson in self-control, right? Sorry, John, I mean to link to it and forgot. On paper, in the XXI th century! and why not on papyrus?